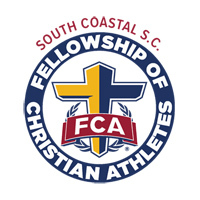 April 17: 23rd Annual Christian Heritage Breakfast with this year PGA Tour Winner, Chesson Hadley, at Hilton Head Beach & Tennis Resort, 40 Folly Field Rd. 7 a.m. Special music by Lavon Stevens. Sponsored by The Fellowship of Christian Athletes and The College Ethics Symposium. Reservations Required. Individual and table tickets are available, call (843) 290-3744 or visit christianheritagebreakfast.com.